Here you will find some materials to revise science contents worked in class. If you didn't understand something about machines, you can watch this videos that provide an explanation in Spanish. I hope you don't need it but... just in case!! 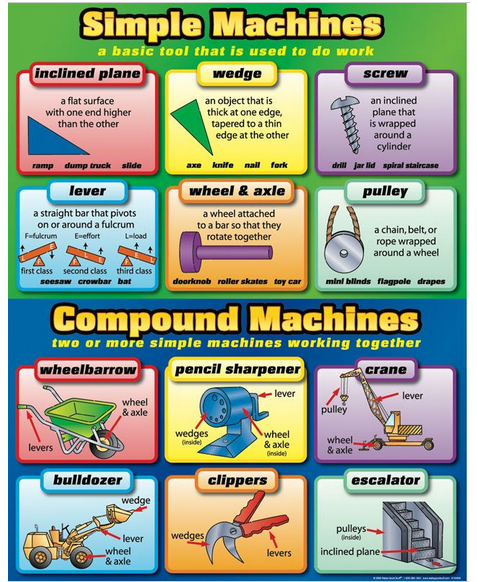 In this wonderful poster you can find a definition of every simple machine and some examples, as well as some common compound machines. I hope it helps you learn more about this interesting topic!